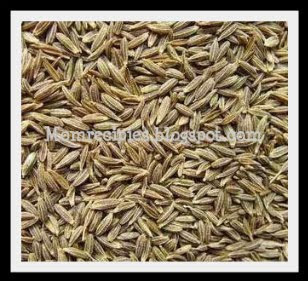 Cumin seeds in Hindi means "Jeera" and in telugu "Jeelakarra".This is my very essential herb for cooking. Cumin seeds are used as a spice for their distinctive aroma, popular in Indian, Pakistani, North African, Middle Eastern, Sri Lankan, Cuban, Northern Mexican cuisines, and the Western Chinese cuisines. 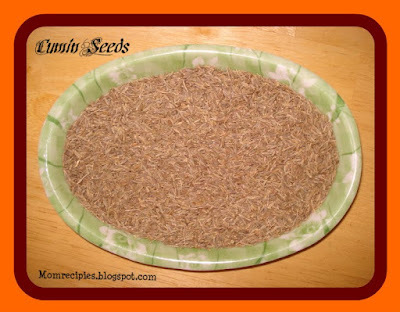 It can help with indigestion, diarrhea, nausea, morning sickness.Cumin is also said to help relieve symptoms of the common cold due to it’s antiseptic properties. It is even used in grounded form also.It's roasted before grinding, which imparts a toasted, nutty flavor. The aromatic, somewhat bitter, flavor is essential to good chili.